The jaguar is ubiquitous across Mesoamerican art and across time. We are assembling here resources for a study of this important animal and its ethnobiological significance. 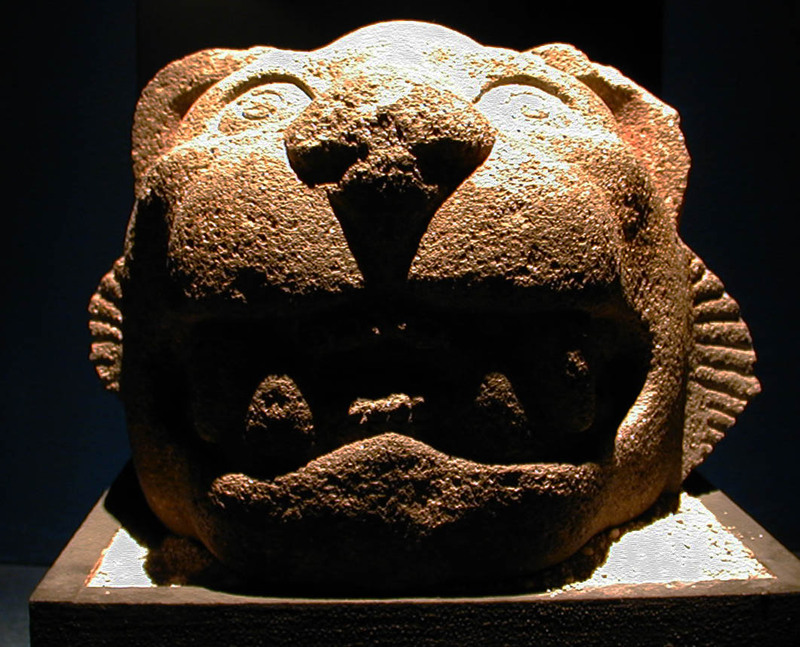 Gordon Whittaker, Aztlan Listserv posting, Feb. 25, 2012: “In the ongoing discussion of cat terms [on the Aztlan Listserv] Kier Salmon brings up the subject of Nahuatl *ocelotl*. The latter (*o:ce:lo:tl*) is actually ‘jaguar’ par excellence, whereas *tla’coo:ce:lo:tl* (literally, ‘semi-jaguar’) is ‘ocelot’. I have no idea why Dibble and Anderson (or Anderson and Dibble) decided to continue translating plain *o:ce:lo:tl* simply as ‘ocelot’, which is quite a misleading definition. The zoologist they consulted, Stephen Durrant, recommended ‘jaguar’ over their ‘ocelot’ (Florentine Codex, Bk. 11, 1963, p. 1, fn. 2), but they stuck to their translation. 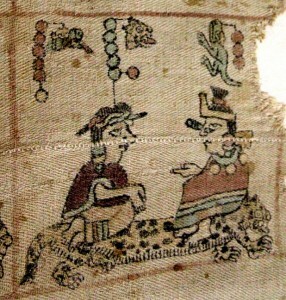 As a result, they rendered both *o:ce:lo:tl* and *tla’coo:ce:lo:tl* as “ocelot”.The indigenous consultants for the Florentine Codex descriptions, however, clearly regarded the *tla’coo:ce:lo:tl*, which they also named the * tla’comiztli* (‘semi-puma’), as a separate animal, not merely a different kind of *o:ce:lo:tl*, as the following passage (FC 11: 3) implies: , translated by Dibble and Anderson as ‘OCELOT.’ Also they name it *tlacomiztli*. It is small, squat, rather long, the same as a Castilian cat; ashen, whitish, varicolored — varicolored like an ocelot, blotched with black.” The significant translational oddity here is the comparison: “OCELOT […] small, […], the same as a Castilian cat, […] — varicolored like an *ocelot*”. Clearly, ‘OCELOT […] — varicolored like a *jaguar*’ would be a better fit. Visit Justin Kerr’s Maya Vase Data Base and do a search for “jaguar” — scroll and review the images. You have permission to copy the images into PowerPoints for educational purposes. 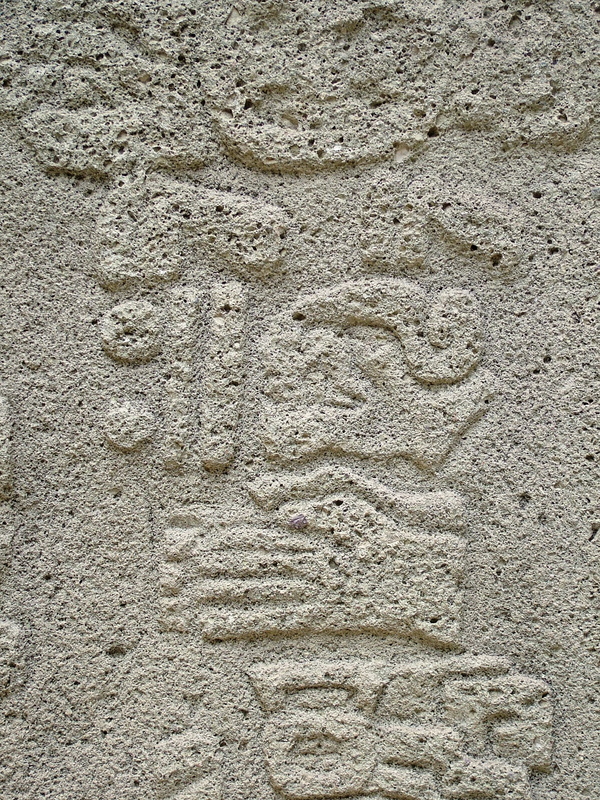 Above, a detail from the Lienzo de Tequixtepec, Oaxaca, Mexico. 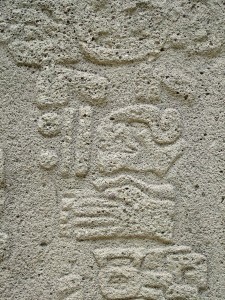 It shows a couple sharing a jaguar mat, a symbol of their authority. 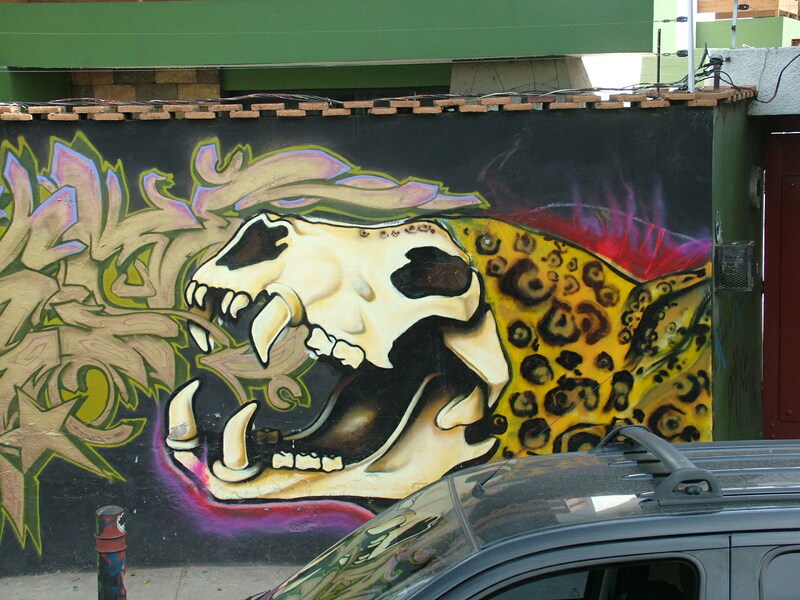 Jaguars are very prevalent in dances in Mexican indigenous communities. 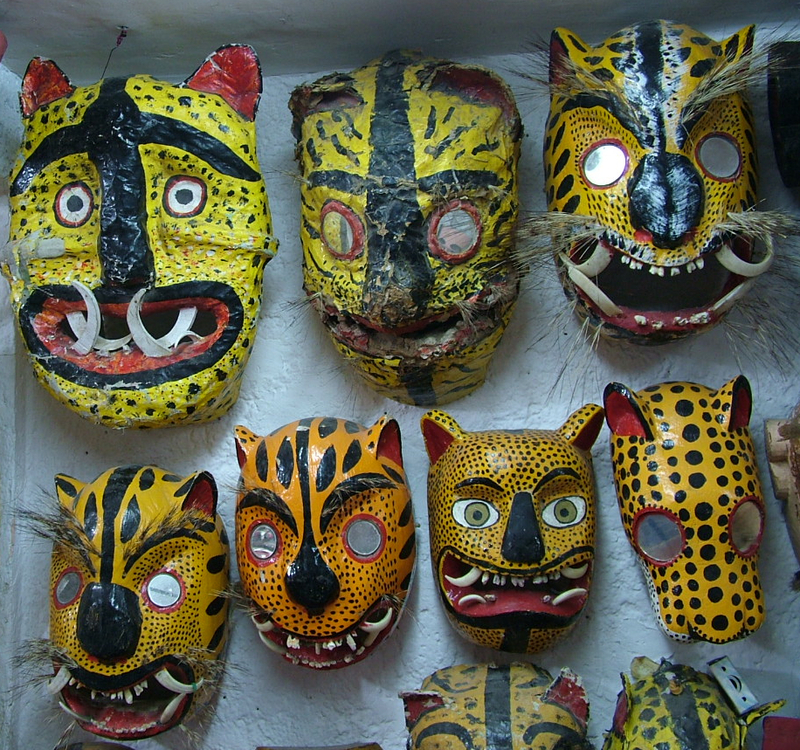 Below we see a sampling in the Ragatz family mask collection, now maintained by artist Karima Muyaes in the family home in Azcapotzalco. 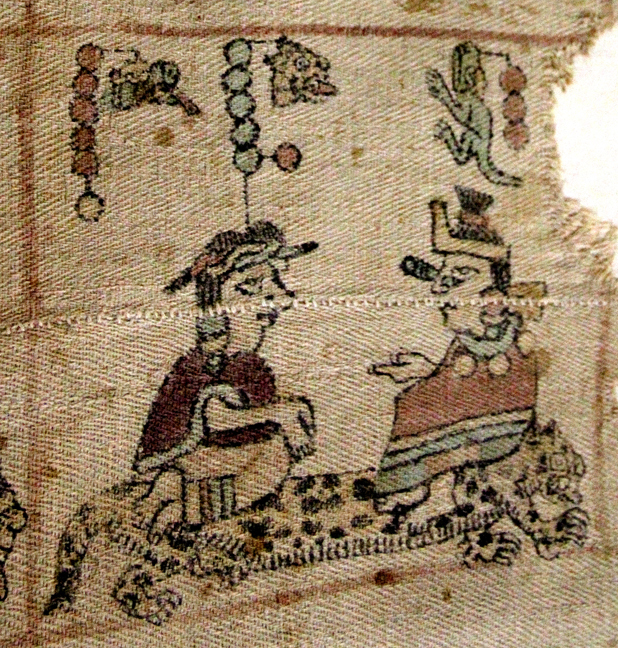 Mexican indigenous religious belief united humans and animals as shared inhabitants of the universe. Dances of the colonial period (and probably before) typically included a Lord of the Animals, called the “Pastor” in Spanish-influenced dance. 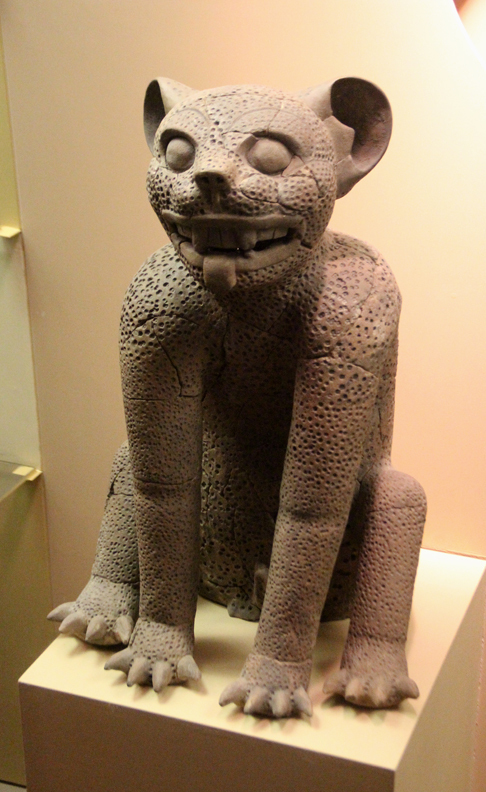 This lord or deity was believed to live in wild places and could manifest itself in many different animal guises, but the jaguar was one that was especially prevalent. It could also appear as an alligator, a bat, or another animal. Jaguar themes continue to run strong in Mexican art today. One of the Oaxacan street art collectives calls itself ArteJaguar (Jaguar Art). 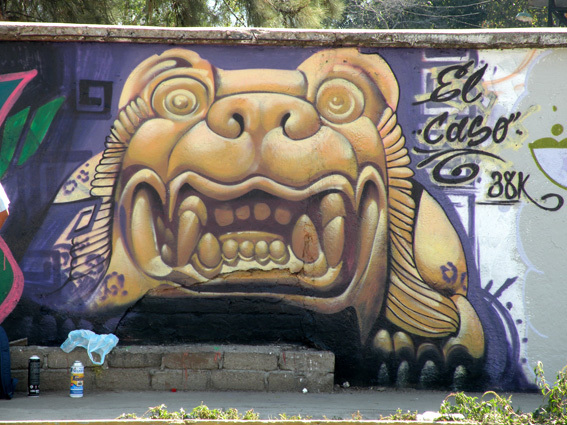 Above, we see a jaguar featured in a mural on a wall in Oaxaca city that was photographed in 2010.